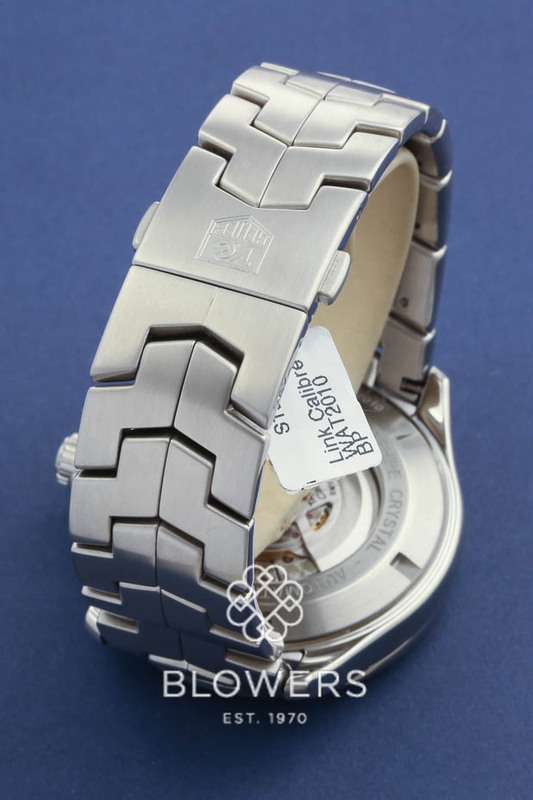 Steel Tag Heuer Link Day-Date. WAT2010. 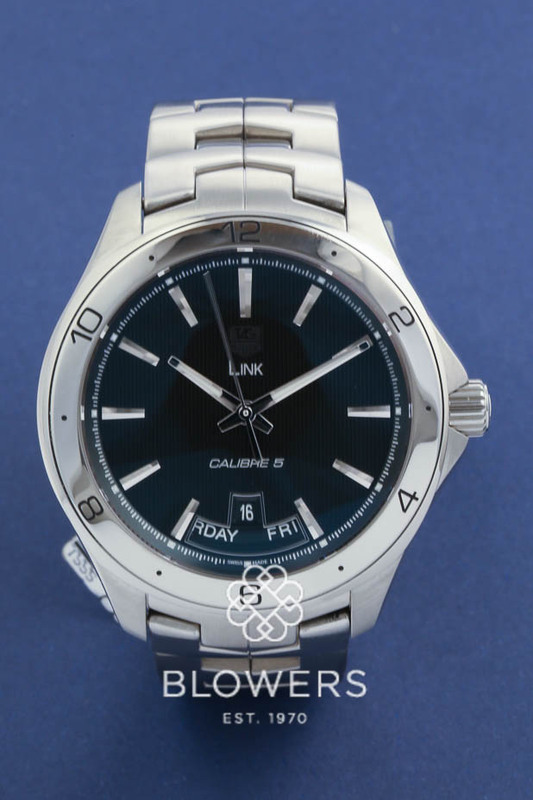 42mm case diameter. Automatic movement. Black dial with baton hour markers. Date and day at the 6 o’clock position. 38 hour power reserve. 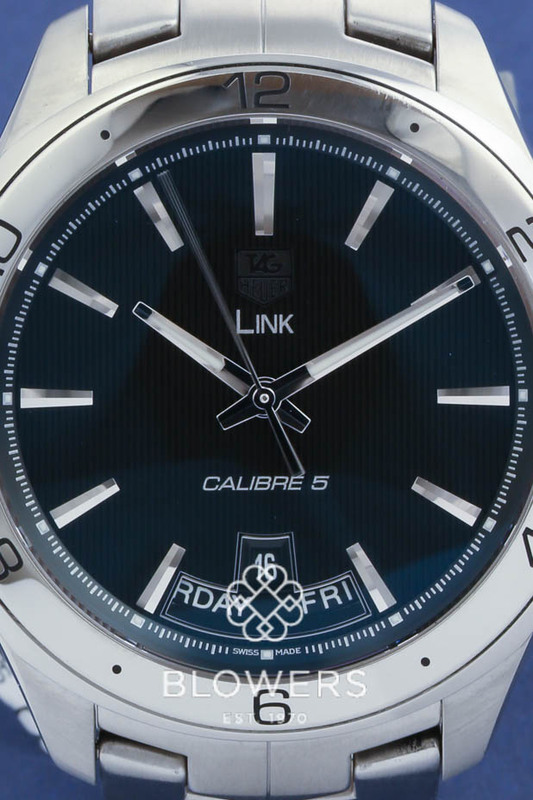 Polished bezel. 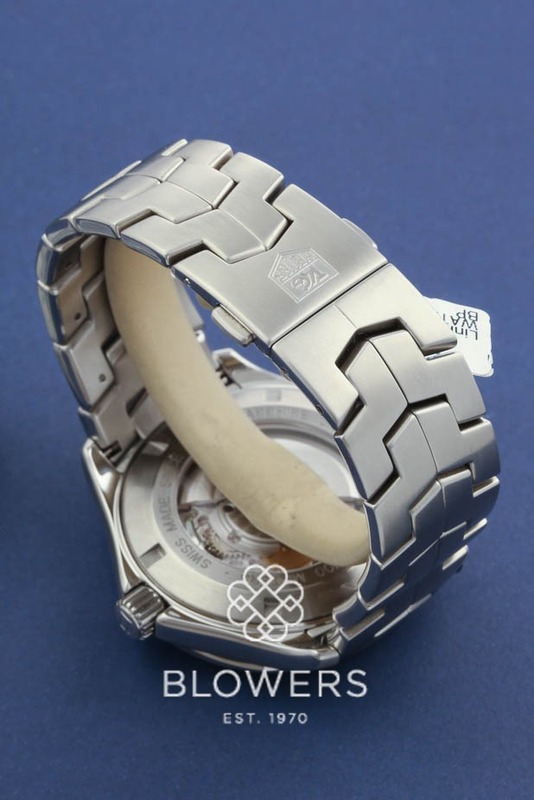 Steel case and bracelet with deployment clasp. Box and papers dated February 2012. 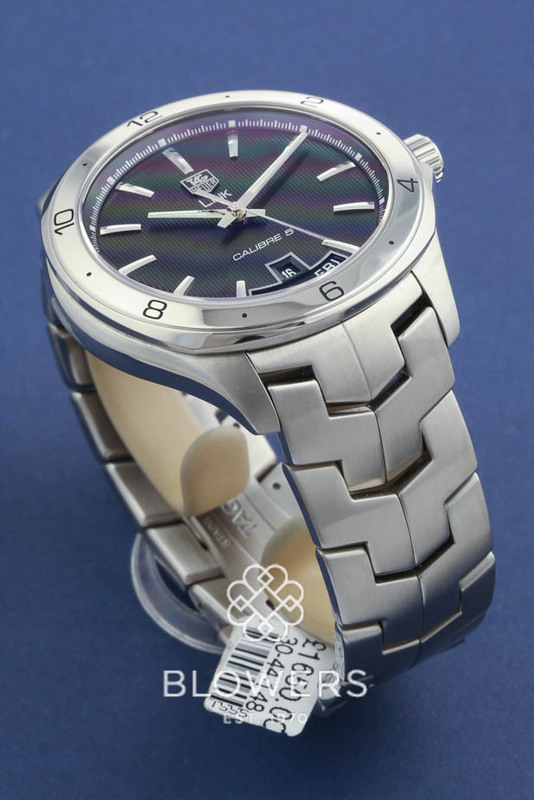 Our Reference S19815. SKU: 3044148. 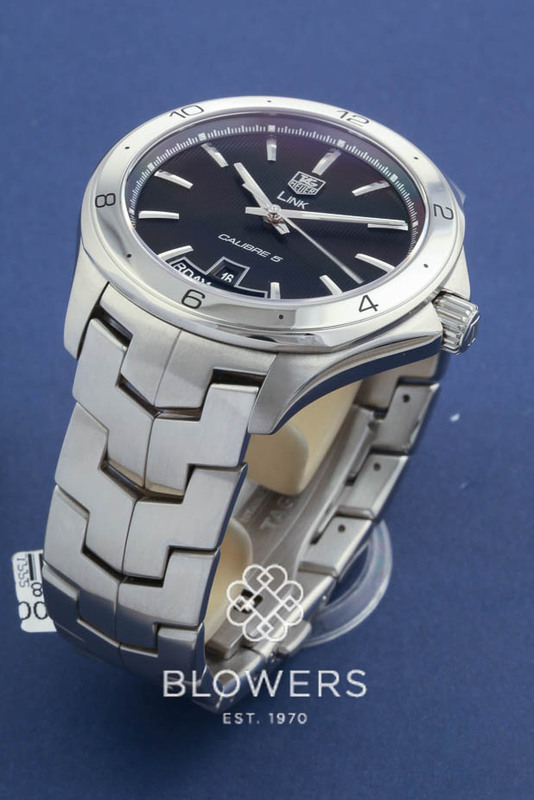 Categories: Link, Tag Heuer.